Perfectly matched to their other light fixtures, Quoizel Lighting's outdoor ceiling light collection is comprised of the same high quality materials and masterful artistry as all their impressive indoor lighting designs. 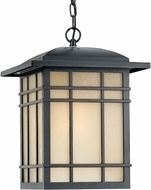 Cool clear glass and warm frosted glass alike bestow an intriguing light upon you as you sit enjoying your balcony or gazebo on a soft evening. 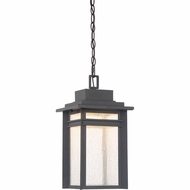 The distinguished presence of Quoizel�s outdoor pendant lights and flush-mount lighting fixtures lend charm and refinement to any outdoor scene.